By popular request, I've created a page for comments for ticket trades. Only post here if you are willing to trade tickets, or sell for the value you paid for the ticket. Do not post here if you are simply looking for tickets (if someone hasn't posted that they've got the ticket you want for trade or sell, then no one here likely has it) or are trying to sell above face value; I may delete such comments (note that the range of prices for premium tickets is $25 to $82, and regular tickets is $18 to $42). 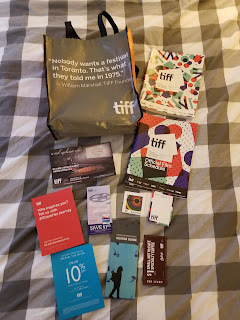 Here is a posting for current off-sale films for TIFF 2018. Note that films that appear off-sale here may come back on-sale as tickets are released or if the festival releases additional inventory.